On April 16, the U.S. Senate's so-called "Gang of 8" released their 844-page plan for comprehensive immigration reform entitled the Border Security, Economic Opportunity, and Immigration Modernization Act of 2013. The border policing aspect of the bill (among many other things) envisions $3 billion for more surveillance systems, including unmanned aerial drones, $1.5 billion for more barriers on the boundary, and the addition of 3,500 more Customs and Border Protection agents (CBP includes the U.S. Border Patrol). This would be on top of the $18 billion (figure from 2012) that the U.S. government already spends on border and immigration enforcement per year, an expense that is more than all other federal law enforcement agencies combined. Arizona has been a hot-spot and laboratory for immigration enforcement for quite a while and would be significantly impacted by this proposed upsurge in border policing. This photo essay offers a glimpse into how this intensley border-controlled universe already looks in the Arizona borderlands, via two distinct perspectives. One is the emerging border control industrial cluster, and I photographed many of these companies displaying their wares at the 7th Annual Border Security Expo that took place in Phoenix, Arizona on March 12 and 13. 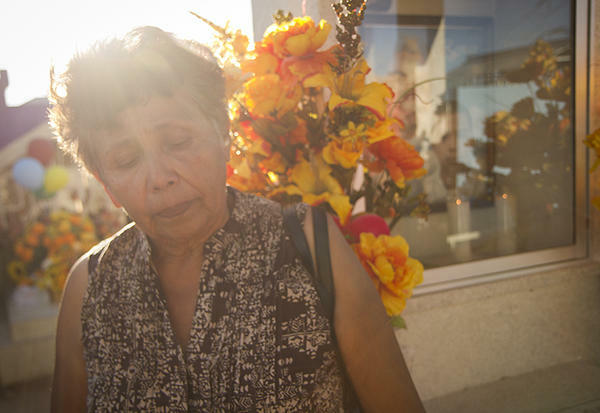 Intermixed is another set of photos from a binational vigil that happened on the Mexico-U.S. border on April 10. 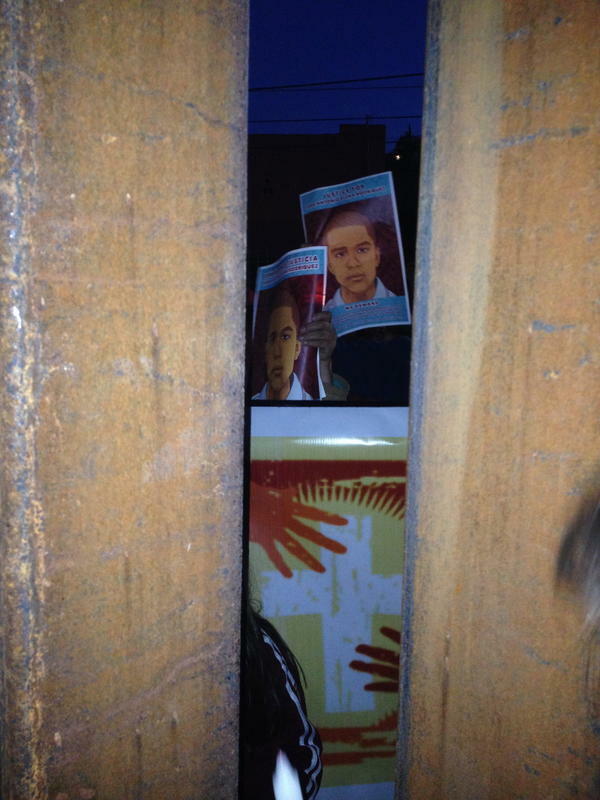 It was the six-month anniversary of the killing of Jose Antonio Elena Rodriguez, the 16-year-old who the U.S. Border Patrol gunned down through the border wall on October 10 in Nogales, Sonora—a casualty of the inevitable violence of the border policing apparatus that the Gang of 8 says must increase in the name of comprehensive immigration reform. 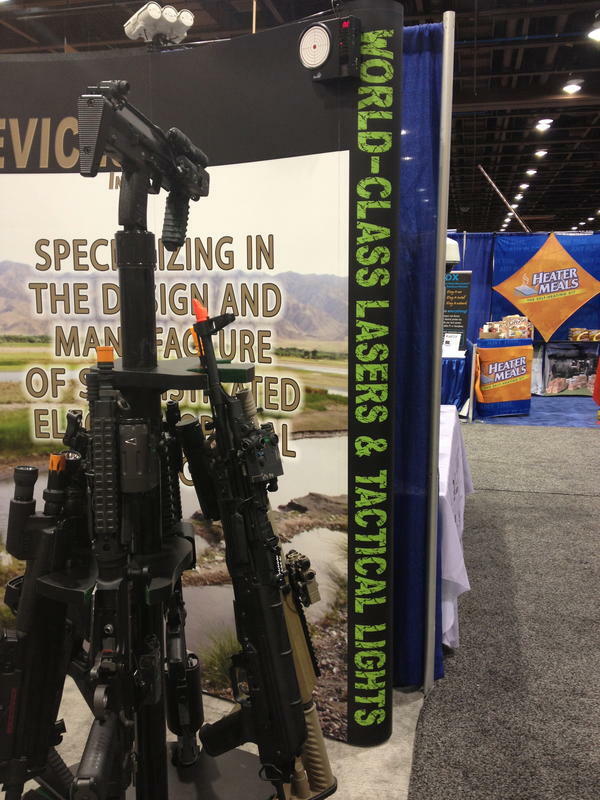 More than 180 exhibitors crammed into the Phoenix Convention Center hall including General Dynamics, Raytheon, Motorola, Lockheed Martin, and Glock. 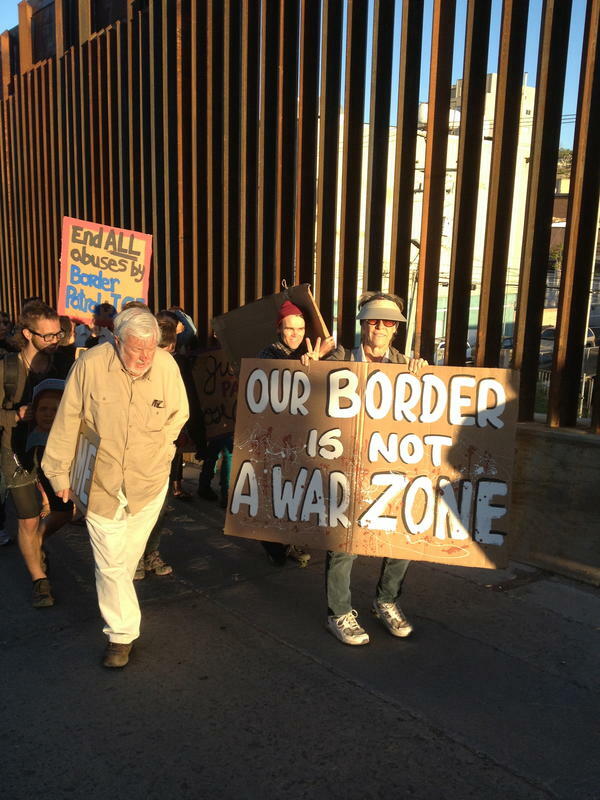 "If one were looking for a convention of the Borderland national security state complex," Mark Karlin writes for Truthout, this was where it would be found. "In the short term the sequester [forced budget cuts] is going to make an impact. But I'm pretty confident that immigration reform is going to pass, and to get the legislators from border states to go along with them, there will also be a significant component of border security. 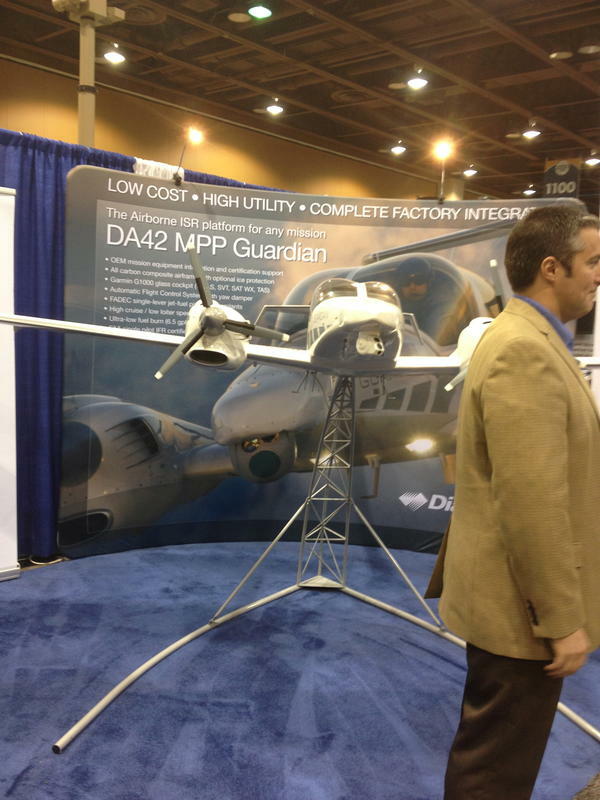 So we're looking forward to that," a FLIR salesperson said at the Expo. FLIR, which produces thermal imaging surveillance cameras, already has lucrative contracts with CBP. While the plane pictured above is not an drone, industry imagines both manned and unmanned aircraft patrolling the Mexico-U.S. borderlands. In the "Gang of 8" immigration reform package, a significant amount of money will go to this type of surveillance, especially to drones. 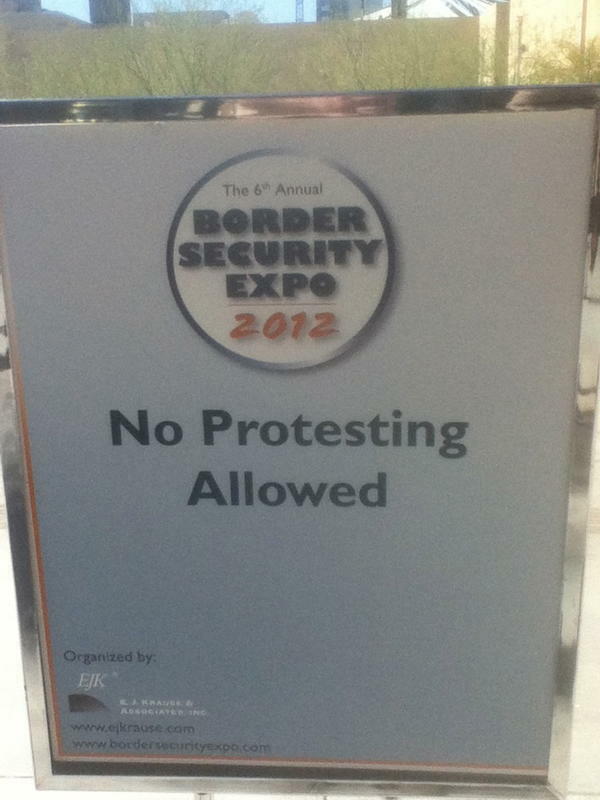 A reminder from last year's event, also in Phoenix, where the sole protestor called the Expo a "mall of death." 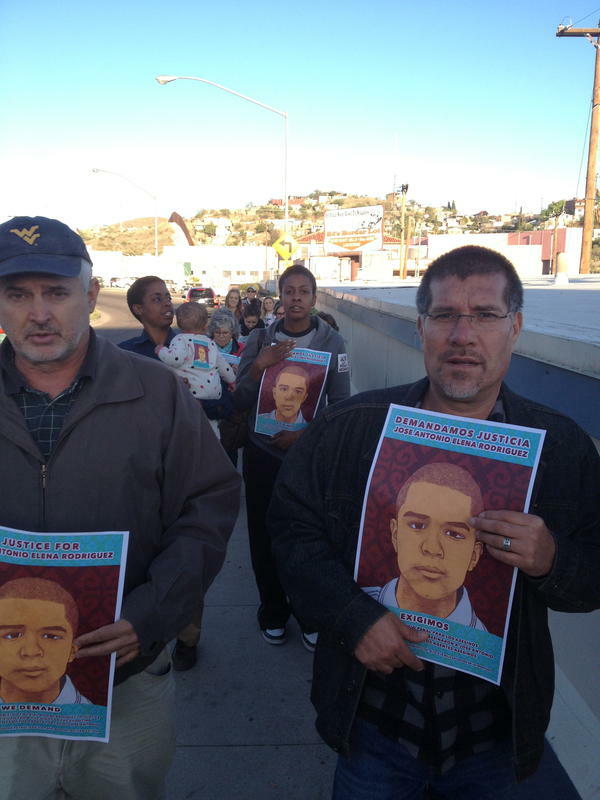 Marchers hold signs that say “We Demand Justice—Jose Antonio Elena Rodriguez” in Nogales on April 10, on the six-month anniversary of the killing. An agent sits his X on the line in the late afternoon, with surveillance cameras overhead looking into Mexico. 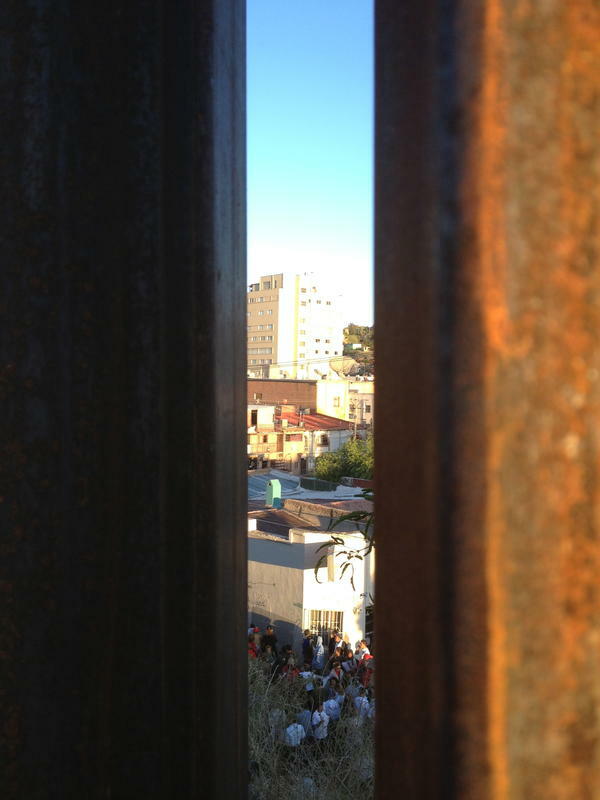 People gather on the U.S. side and look down onto the vigil where people gathered in Mexico. 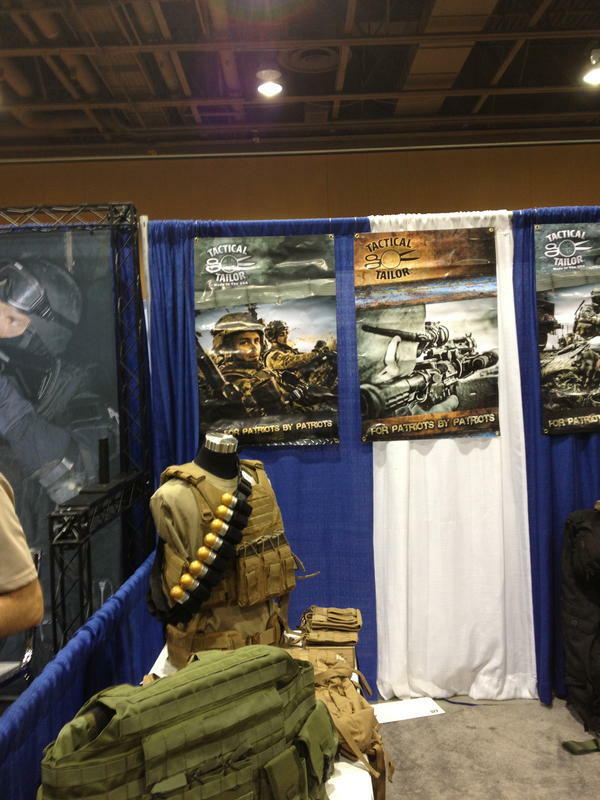 But at the Border Security Expo in Phoenix, you would imagine that it was a war zone. The complex is not only about world-class lasers and tactical lights, it's also about Heater Meals. According to the salesperson at Heater Meals, they have a contract with Immigration and Customs Enforcement (ICE) for some of their detention facilities, where Homeland Security holds up to 34,000 people facing deportation at any given time. 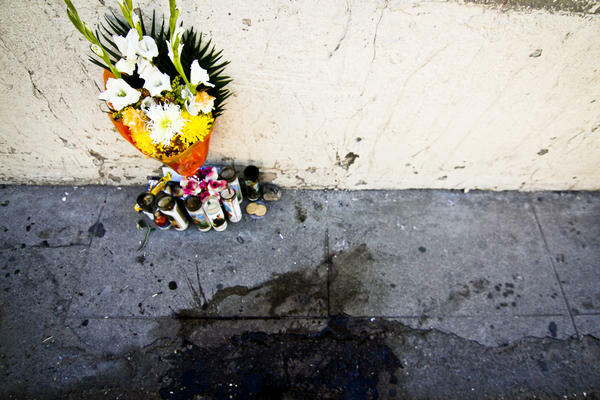 An altar put up directly after the killing of Jose Antonio in October, in the same exact place where U.S. Border Patrol shot the teenager seven times. It was approximately from here where the Border Patrol agent fired down into Mexico at Jose Antonio, after claiming that the 16-year-old was throwing rocks up a 20-foot cliff. 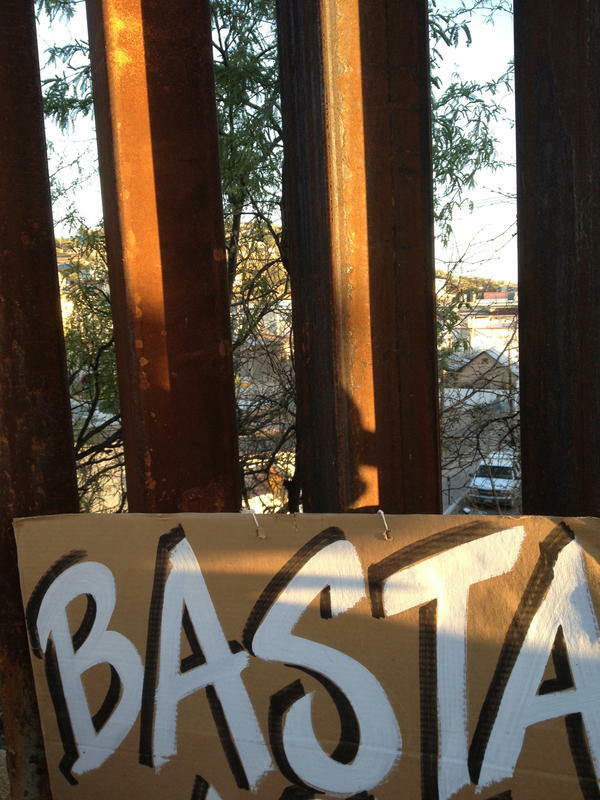 The U.S. Border Patrol has killed 18 Mexican nationals in the last two years. Now people gather to honor Jose Antonio's life and call for a change in policy. 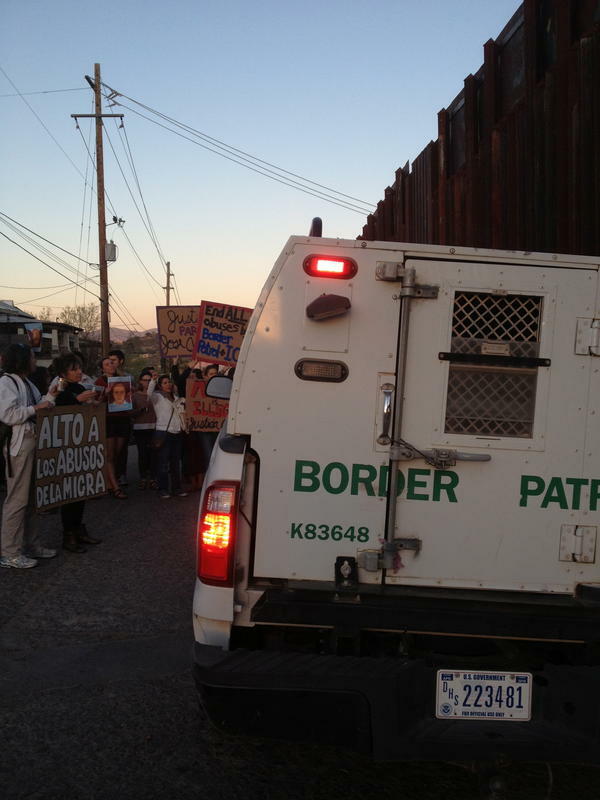 Stop the abuses of the Border Patrol, says the sign. The agent attempts to leave in his vehicle, but can't because of the human wall of protestors. 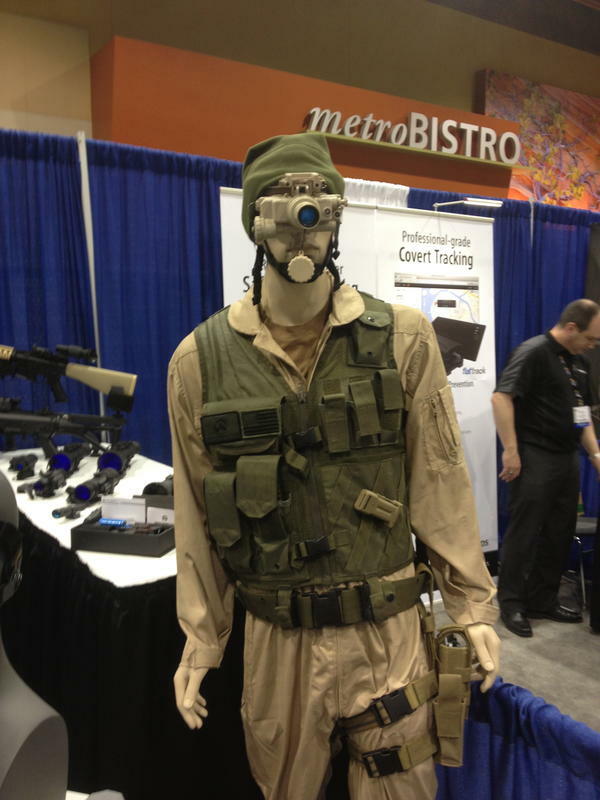 The Tactical Tailor—"For Patriots by Patriots"—at the Border Security Expo. The global border enforcement industry is growing at a 5% clip and will have more than $20 billion in sales in 2013. 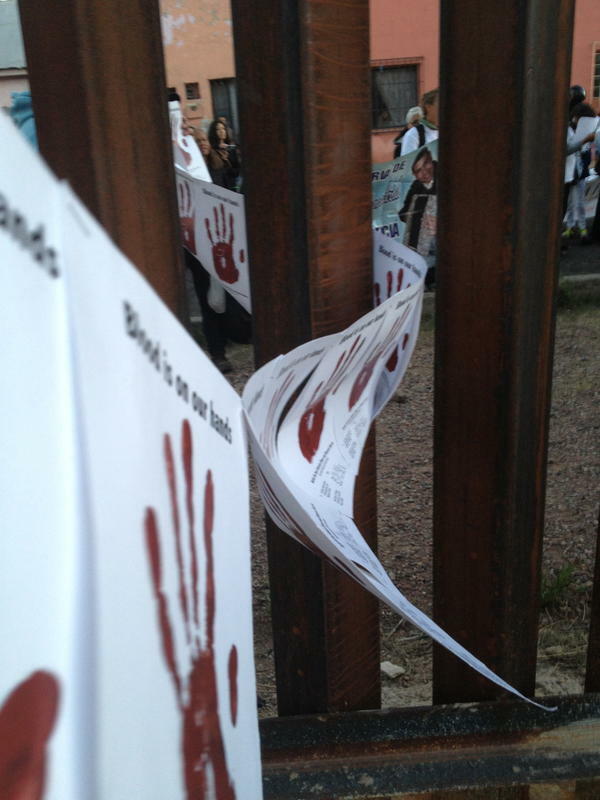 "Blood is on our hands," weaves from the Mexican to the U.S. side at the binational vigil. The type of border policing envisioned in the immigration reform package—more surveillance technology, more agents, more fencing—has been present in the U.S. southern borderlands, mainly in urban areas, since the mid-1990s. This has funneled unauthorized border-crossers, including many Mexican small farmers no longer able to compete with large U.S. agribusiness in the NAFTA era, into isolated and dangerous areas. In this context of ever-increasing border enforcement, the remains of more than 6,000 migrants have been found in the southern borderlands, particularly in Arizona's desert. At the end of the vigil, as night was falling, groups on both sides of the border came together for a moment of solidarity. In this photo, through the bars, is Mexico. 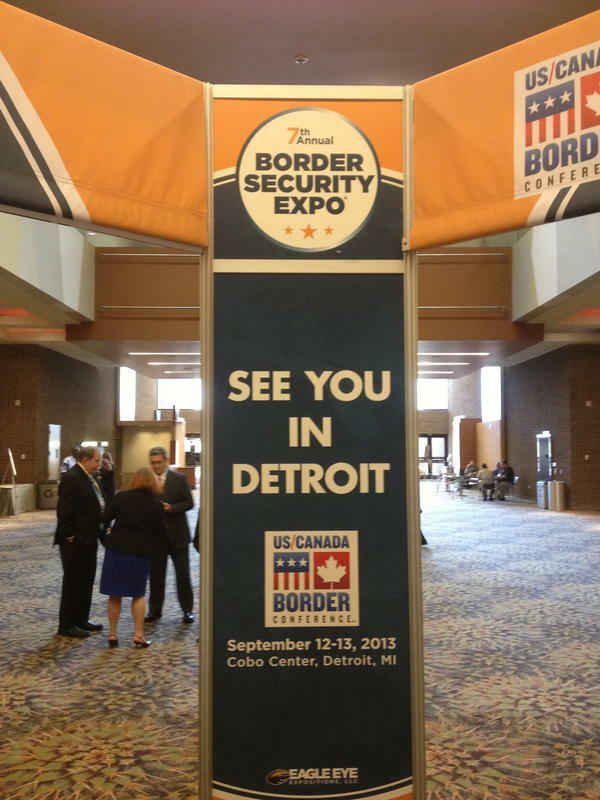 The next Border Security Expo will be on the U.S.-Canada border in Detroit.